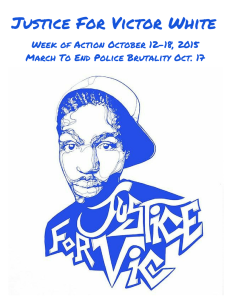 We are just a few weeks away from the Week of Action! Join us! 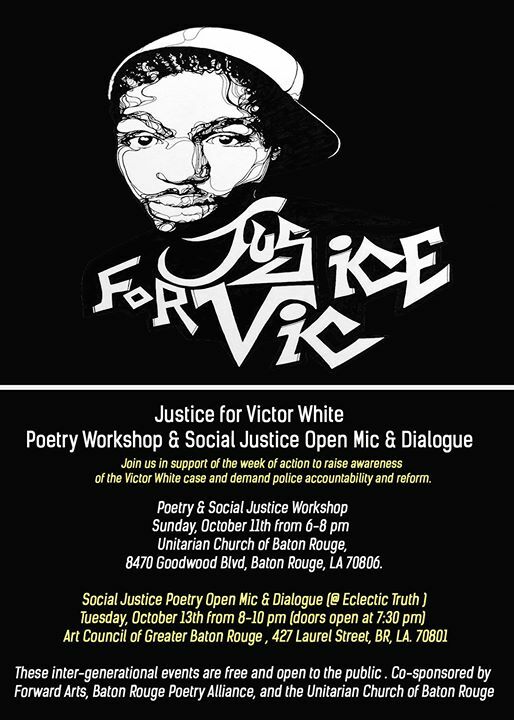 The official events will be held in Lafayette and New Iberia, La along with other satellite events in Baton Rouge. 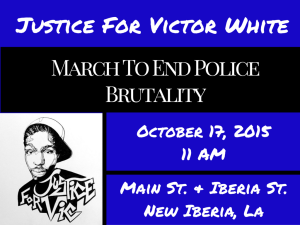 The Justice For Victor White movement’s purpose is to honor the life of Victor White III, raise awareness of his untimely death, demand accountability for law officers’ misconduct, and ensure transparency within investigations. 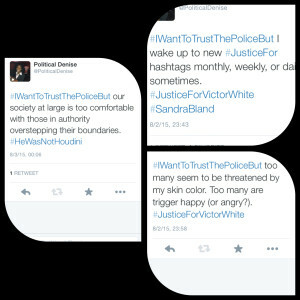 Join the #IWantToTrustThePoliceBut initiative by the #JusticeForVictorWhite movement. Post a message or quick video on Twitter, Instagram, and Facebook about the rampant issue of Police Brutality and Impunity in our country. Tag us and remember to add hashtags to bring awareness! 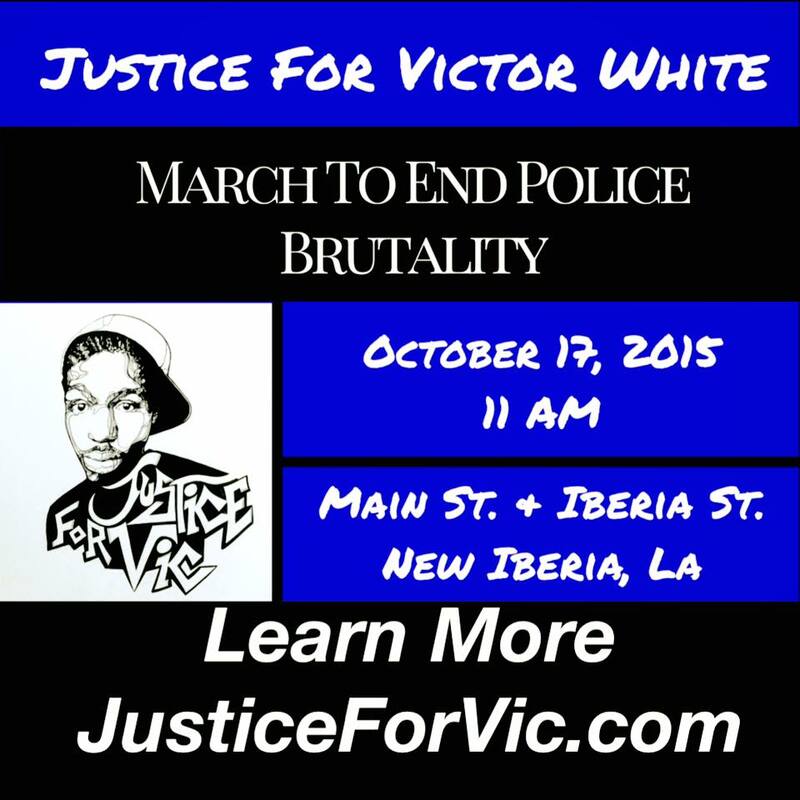 It’s time for real change in New Iberia, LA and across the nation. It’s a process; Awareness, Action and then Organization. 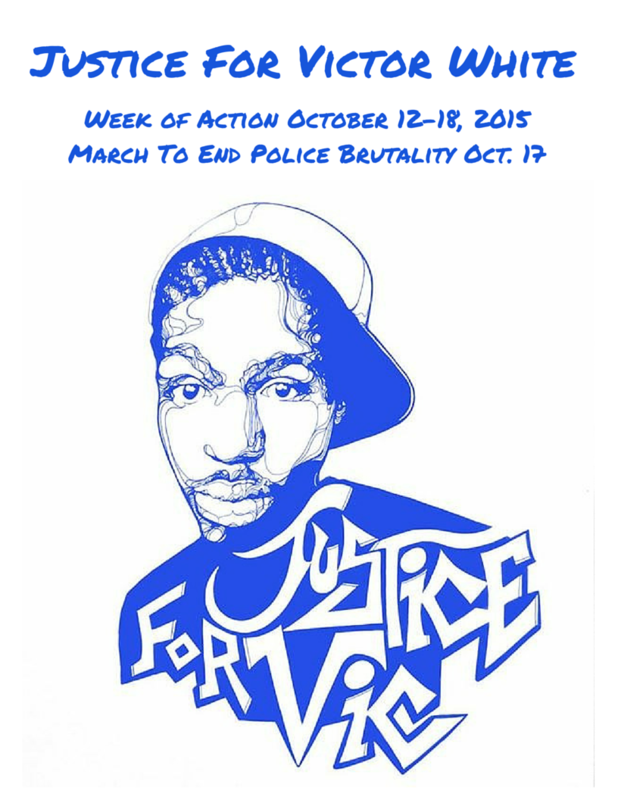 Do your part in kick starting the first major Black Lives Matter protest in the South. 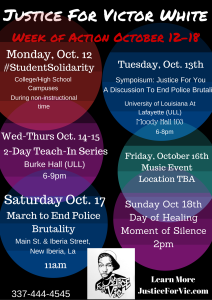 We have a lot planned for the Week of Resistance: symposium on police brutality, a music festival, a know your rights workshop, teach-ins, walk-outs and continued large scale canvasing. 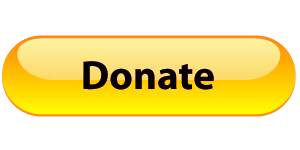 The 7 day fundraising drive begins TODAY! The latest autopsy states that Victor White shot himself in the chest, despite his hands being cuffed behind his back. This assertion is based solely on the police report. The coroner failed to check Mr. White’s hands for gunpowder residue. The family wishes to conduct an independent investigation. Read the autopsy report here. 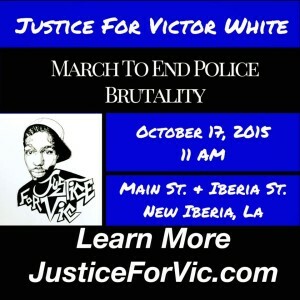 The attorney representing the family of Victor White III — a 22-year-old man who authorities claim shot and killed himself while locked in a patrol car with his hands cuffed behind him — says police are not only responsible for his death but launched a cover-up immediately afterwards. 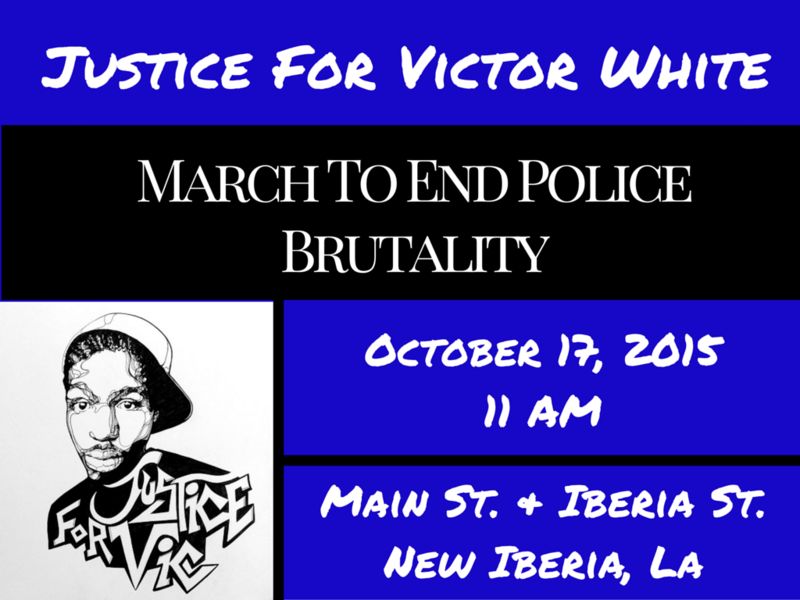 The family of Victor White III, the New Iberian whose death while in custody of the Iberia Parish Sheriff’s Office was ruled a suicide, has hired a lawyer who is asking the U.S. Justice Department to investigate the circumstances of the shooting that kiled the 22-year-old man.